Things to do in Long Beach, CA. 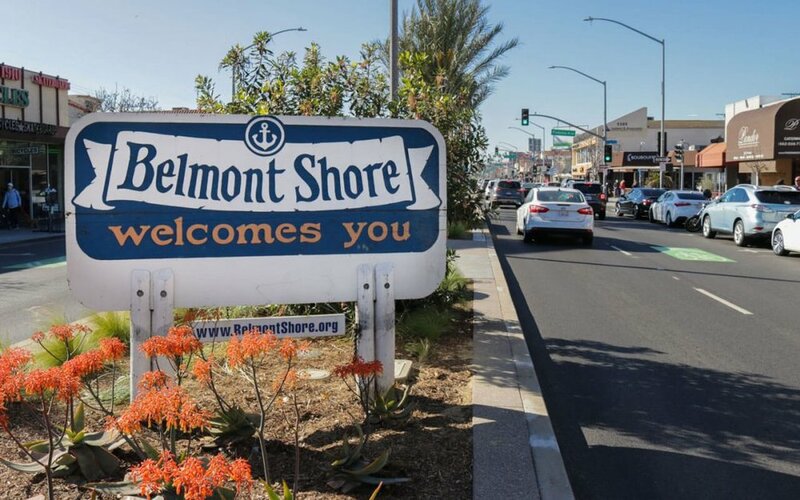 Long Beach holds a special place in our hearts as it has been our home for many years. Its diversity and uniqueness really sets it apart from the rest of Southern California. From their restaurants, beaches, and nightlife you are surely to never be bored. Playa Amor Mexican Cocina - One of the best Mexican restaurants in town!! Their short rib tacos are to die for. Ellie’s: Chef Jason has put so much heart and soul into his Italian restaurant and the food is exquisite. Make sure to make a reservation on open table to avoid waiting. Portfolio: This coffee shop is a great place to come and enjoy the setting. They have many tables and chairs for conversing or working. Nicks on 2nd: Perfect place for a date or to enjoy a craft cocktail. Their menu is constantly changing and is sure to peak your interest. Schooner or Later: Great place to brunch with a gorgeous view of the marina. Their dish “The Mess” was featured on Diners, Drive-ins, and Dives. BO-Beau Kitchen + Rooftap: This place has a rooftop bar with events going on all week long. They are most famous for their brussels sprouts. 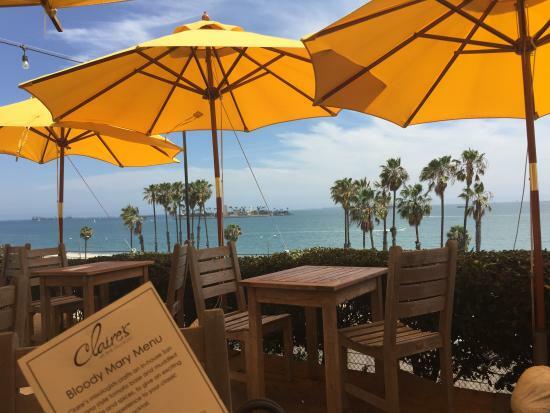 Claire’s at the Museum: Enjoy a beautiful brunch outside by the water! Be sure to try their famous creme brûlée French toast. Panama Joe’s Sports Bar has one of the best happy hours in town. Buy 1 drink get the next one for a quarter. Monday- Friday 3pm-7pm. Enjoy bottomless mimosas on the weekends while watching your favorite sports teams. Riley’s: Best bar food I’ve ever had. Happy hour is Monday- Friday 3pm-7pm. Try their pizza’s and tacos. Shannons: Looking to go out for the night? Shannons is a very popular bar on second street. Bring a dollar and write your name on it to leave it up on their walls inside. Legends: Has a DJ on the weekends with a bar upstairs and downstairs. The Good Bar: This is definitely a local spot. Located off of 7th street and Redondo they have DJ’s spinning every Friday and Saturday night. The Blind Donkey: This is where LaLa Land’s Sebs’ bar was filmed. A very hip underground bar with karaoke on Fridays. Visit Long Beach Events Calendar to check out everything going on during your stay! Rent kayaks and stand up paddle boards at the bay. London Boat Rentals: Rent a Duffy Boat and bring your own alcohol and snacks while driving around the long beach bay. The Pike: is located in downtown long beach it has shopping, entertainment, restaurants, and even a ferris wheel. Long Beach Aquarium: Enjoy a day learning about the marine life! Disneyland is only 20 miles away!! Perfect for a day trip. 4th Street Retro Row: Fourth Street is a community that brings business, residents and visitors together in celebration of independence and diversity. 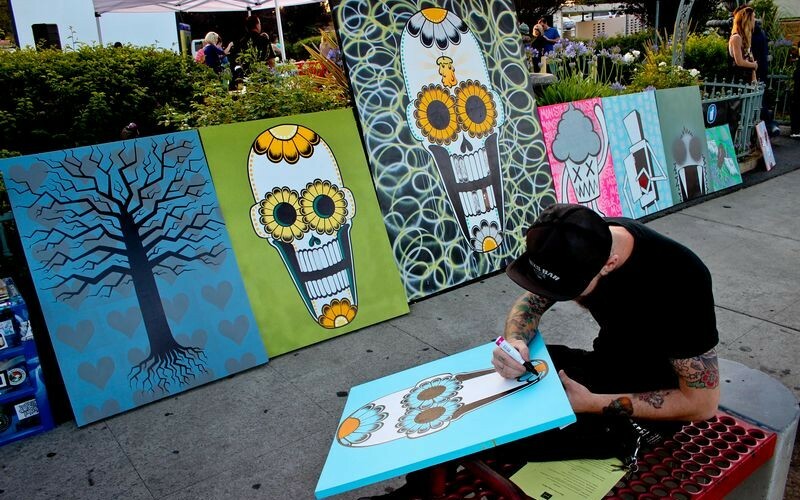 Long Beach Art Walk: This occurs every Saturday of the month. Yoga on the Bluff: Free yoga sessions everyday a 11am.